I dare say that, with the state of classical music in this country, ie: seemingly on a steady decline, no matter how much we’d like to believe otherwise, it doesn’t help matters when it comes to disagreements between musicians and symphony orchestra management when it comes to pay. Are musicians paid enough? And just what IS “enough”? And when orchestra members decide to strike, and when an agreement is finally reached – or not – the situation begs the question…could it be that the American symphony orchestra needs to come to a new economic reality? Ivan Hewett, classical music critic for The Telegraph has some observations. Crisis has struck two of America’s great orchestras. One is the Pittsburgh Symphony Orchestra, which faces a deficit of $11 million and pension black hole due to rock-bottom interest rates. The board decided to impose a pay cut of 15 per cent and slash pension benefits. The players refused it, and set up a picket line outside their performing base, Heinz Hall (where they’ve been joined by musicians from the Fort Worth Orchestra, which is also on strike). Meanwhile at the other side of Pennsylvania, the Philadelphia Orchestra is once again in the mire, having already weathered bankruptcy in 2010. The musicians there went on strike on the opening night of the orchestra’s new season, only an hour before the concert was due to begin. The players had already suffered a pay cut of 14 per cent at the time of the bankruptcy, and are now being asked to accept modest rise of 2 per cent, to help close a $5 million shortfall in the budget. The players felt enough was enough, pointing out that their minimum pay of $128,000 was now well behind other leading American orchestras. A tentative deal to bring the base salary to almost $138,000 within three years is being discussed. The causes of the crisis in American orchestras are many. Audiences for classical music are greying, and are not being replaced by younger listeners. 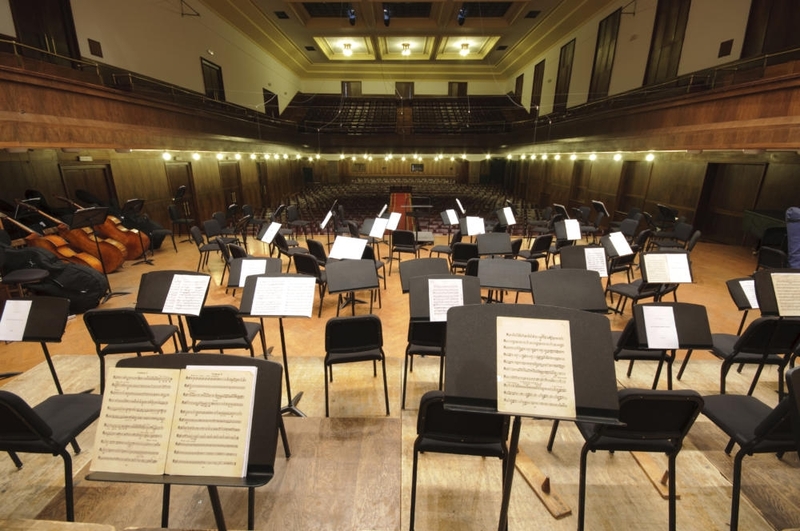 Income from endowments, on which many orchestras depended for a handsome annual subsidy, have dropped off a cliff owing to low interest rates. And there’s the remorseless marginalisation of classical music in the public discourse. Gone are the days when a Toscanini or Bernstein were household names, and every American town had a record store that stocked classical music. And in the school system classical music now barely registers. These problems are common across the sector. But in the top tier of American orchestras there’s a peculiarly competitive mind-set, which makes a difficult situation worse. From a British perspective, American base orchestral salaries are generous, and some players earn significantly more than the base. There are five concert-masters (orchestral leaders, in British parlance) who earn more than half a million dollars a year. If the answer is yes, they feel an overwhelming urge to play catch-up. Players in all the top-tier orchestras have seen their pay rise by an average of around 15 per cent over the past six years – all except the Philadelphia orchestra. Thus the players’ discontent. Another factor in the economic woes of orchestras is the eye-watering fees paid to music directors. The National Symphony Orchestra paid its managing director $2.7 million dollars in 2013; the Cleveland Orchestra paid just under a million. The other orchestras in the top 10 fell somewhere in between. Overall, music directors’ salaries went up by a third in the six years to 2013. Some deals simply beggar belief, such as the $3,321,541 “signing bonus” paid to the Dallas Symphony Orchestra’s music director in the 2013/14 season. Are things better here? No, in the sense that orchestral musicians in the UK are undoubtedly poorly paid. Yes, in the sense that our orchestras (with the exception of the Ulster orchestra) have not faced financial disaster in recent times. They live within their means, because permeating the culture of orchestras – players and managements – is a strong sense that they work for publicly funded bodies, which ought not to pay outlandish fees to star soloists and conductors, and should also show restraint in pay deals. Compare that to top American orchestras, throwing telephone-number salaries at players and conductors to stop them going to rivals. It’s the ethos of the banking world. And yet the truth is they’re not so different to UK orchestras. They are privileged institutions which are given a special tax status, in return for serving the public good. Their coffers are swelled by donations, many of which come from ordinary Americans, most of whom have not seen their incomes rise in real terms for years. The economic reality of American orchestras is out of kilter with the mindset of their managers, which treats orchestras as competitors in a pure free-market, where a conductor or a clarinettist is worth exactly what the highest bidder is prepared to pay for them. As long as that ethos prevails, these top American orchestras will continue to lurch from crisis to crisis.